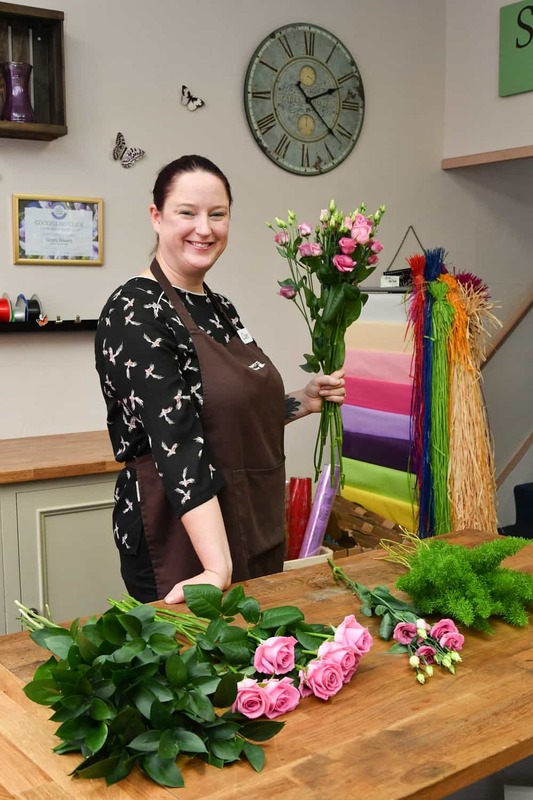 Having previously had a successful career in the military and being the mother to young twin girls Clare is very capable and absolutely adores flowers, especially Celosia, Astilbe, Freesia and Roses. You can meet Clare when Simply Flowers attends various local Wedding Fairs in the Spring and Autumn as she designs and hosts our stands. We hope you will come and meet her at our next one (see our Facebook page for information) as she loves meeting brides-to be and sharing in the excitement of their flower choices and wedding plans. Clare has recently designed and installed her first solo arrangement at Avebury Manor for their month-long May Flower Festival. She loves making Aqua-Pacs for customer orders as the variation in designing for each customer keeps it exciting and each one is unique from bright and bold to garden style pastel colours. Clare is looking forward to attending college soon to attain her level 2 in Floristry and hopes to progress to level 3 soon after.